1. Confirm that you’re eli­gi­ble to apply. You must be at least 18 years old (or apply with your par­ent or guardian). You must be a Canadian per­ma­nent res­i­dent. You need to be able to speak English or French well enough to communicate. You must have lived in Canada for at least three of the past four years. Use the res­i­dence cal­cu­la­tor tool to deter­mine if you’re been in the coun­try long enough. And you can’t have a recent crim­i­nal record (get the details from Citizenship and Immigration Canada). 2. Apply for cit­i­zen­ship. You can get the appli­ca­tion pack­age online. The fee for adult appli­cants is $200 (it’s $100 if you’re under 18). 3. Study for your cit­i­zen­ship test. The gov­ern­ment recently released a new study guide called Discover Canada: the Rights and Responsibilities of Citizenship. 4. Take your cit­i­zen­ship test. I swear (or affirm) that I will be faith­ful and bear true alle­giance to Her Majesty Queen Elizabeth the Second, Queen of Canada, Her Heirs and Successors, and that I will faith­fully observe the laws of Canada and ful­fil my duties as a Canadian citizen. Need more infor­ma­tion? 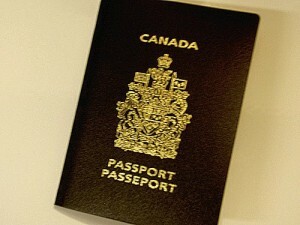 Check Citizenship and Immigration Canada’s cit­i­zen­ship FAQ.